Mary Lou passed away Sunday, November 18, 2018 surrounded by her family at her home in Plainwell. She was born February 8, 1931 in Kalamazoo the daughter of Earl and Blanche (Towne) Hoyt. Mary Lou had worked at Consumers Power for a couple of years. She met the love of her life, Bruce Steele on a blind date and they were married on September 2, 1950 in Kalamazoo. Mary Lou spent the next several years raising her four children. She loved taking care of her family and helping to run the family farm. Mary Lou enjoyed cooking and was known for her great meals and large lunches. She was a member of the Slick Chicks Garden Club in Cooper and had been a 4-H leader and had taught sewing. Mary Lou was also an active member of the Otsego Church of God where she enjoyed being part of the sewing circle. She and Bruce were inducted into the Michigan Farmers Hall of Fame in the 90’s. Surviving are her husband; children, Douglas (Christine Kling) Steele of Otsego, Diana (Keeler) Thompson of California, David Steele of Plainwell and Deborah (Steven) Cook of Indiana; 16 grandchildren; 23 great-grandchildren; 1 great-great-grandchild; her siblings, Russell (Alice) Hoyt and Lois (Jim) Richmond along with several nieces and nephews. She was preceded in death by her parents and great-granddaughter, Kinsleigh Kathleen Weaver. According to her wishes cremation has taken place. Friends may visit with Mary Lou’s family starting at 10:00 A.M., Saturday, November 24, 2018 at the Otsego Church of God, until the time of the memorial service at 11:00 A.M., with Pastor Stephen Burrow officiating. Private family burial of ashes will take place at Hillside Cemetery at a later time. 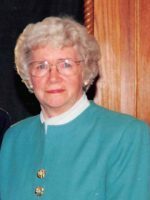 Contributions in memory of Mary Lou may be made to the Otsego Church of God or to Wings of Hope Hospice. We are saddened to hear the news of Aunt Lou passing. Many good memories of her. Thoughts and prayers to all of the family. We are sad to hear of Mary Lou’s passing. Praying for God to comfort you as you reminisce of her life!!! Such an AMAZING Woman of God!!!! Enjoy your new life with Christ in Heaven!! Lou had a great spirit with a kind word, a encouraging look or a great meal. There are and will be many women who reflect the Proverbs 31 woman and Lou was certainly one of them. Our thoughts and sympathy are with all of you. May you find peace and comfort in the coming days and months. Please know that others care and are keeping you in our daily thoughts. Take Care. I’m so sorry to learn of your loss. Your mom and I did physical therapy together a couple of years ago. I really admired her strength and great attitude. Sorry for your lost! Thoughts and prayers are with you and your family. I’m so sorry to hear this news of MaryLou, I will always remember her beautiful smile and our little chats at all of the luncheons she so lovingly served at the church and all of the family gatherings! Very sorry sorry to hear about the loss of a wonderful woman. She always had a warm smile and found the good in everything around her. I know she will be missed. My thoughts are with the entire Steele family. So sorry for your loss Deb. Wish I could be with you at this said time. I will be praying for your dear mother and you whole family. My thoughts and prayers are with you during this difficult time. She was a wonderful woman and may sh RIP. Sympathies for the huge loss of Mary Lou. all knew from all the families – and 4-H.
Sympathies for the whole Family. She will be missed. So sorry my condolences to the Steele family. Mary Lou was one of my favorite people to see and visit. She was so much fun talk to.. I will miss our talks and doing crafts.. I love you Mrs.Mary Lou.. Sorry to learn of Mary Lou’s passing. My thoughts and prayers go out for Bruce and the family. May God Bless each one of you. Prayers for all of you at this difficult time. So very sorry for your loss. May Lou was such a warm and kind person. Always had a smile for those she met. Craig enjoyed both of you so much and I will never forget my “walk in the woods” with her. May your wonderful memories sustain you at this difficult time. So sorry to hear about Mary Lou. We go back to high school and when the guys were in the Service, we gals got together. Mrs. Steele taught me to sew when I was 7; my first dress entered in the Allegan County Fair won a blue ribbon! I remember that Diane didn’t like to babysit us because she thought the old Sherwood Farm was haunted, so sometimes we’d end up at your farm when our parents went out. Mrs. Steele was always so nice to my sister Lori and I. May her memory be a blessing to all of you.